The nature lies still and we have time to relax and to recharge our batteries. We should use this time to withdraw, to unwind and to take some time out. This is what the white season at the Landhof is there for. Whether having a nice chat in our common room furnished Tyrolean style, relaxing in your infrared sauna, reading a good book on your cozy sofa or observing Anna when baking bread: take some time to slow down and to feel the comfort. The beneficial silence and calm of the winter is best experienced while hiking through the snowy meadows and forests around our farm. … and after some stops at the numerous mountain huts the dashing downhill slide on the sleigh is twice as much fun. Those who want to follow the inner rhythm, strap their snow shoes on and step through the fresh snow. Friends of ski tours might feel in heaven in the Gsieser Valley. It is difficult to describe the impressive effect of the alpine winter, when you slowly stride closer to the peaks and then you dash downhill through the deep powder snow. 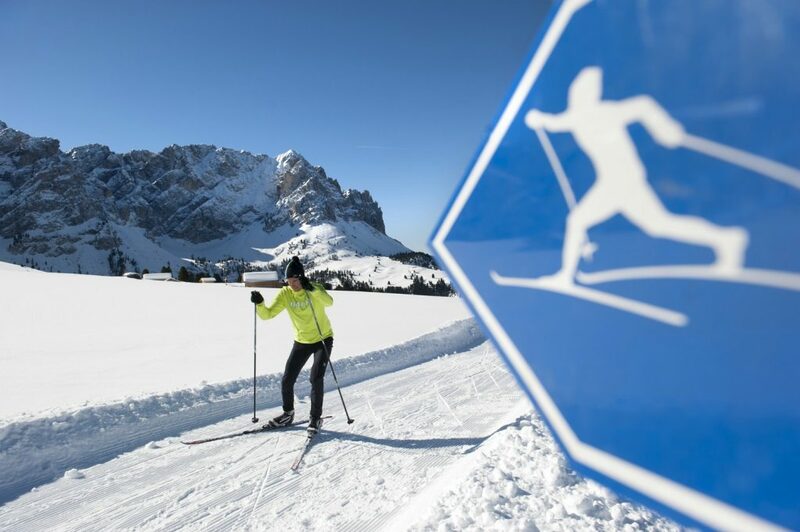 From Taisten you immediately reach the Gsieser Valley, the cross-country skiing resort par excellence. That is why every year there is the Gsieser Valley Race with 40-km-long perfectly prepared tracks. This is the place where South-Tyrolean’s biggest fun race is held. The tracks are prepared daily and in case Mother Hulda should forget, artificial snow will be used. In January and February a number of halfway houses or bars along the tracks offer light, delicious meals to the sporty cross-country skiers. 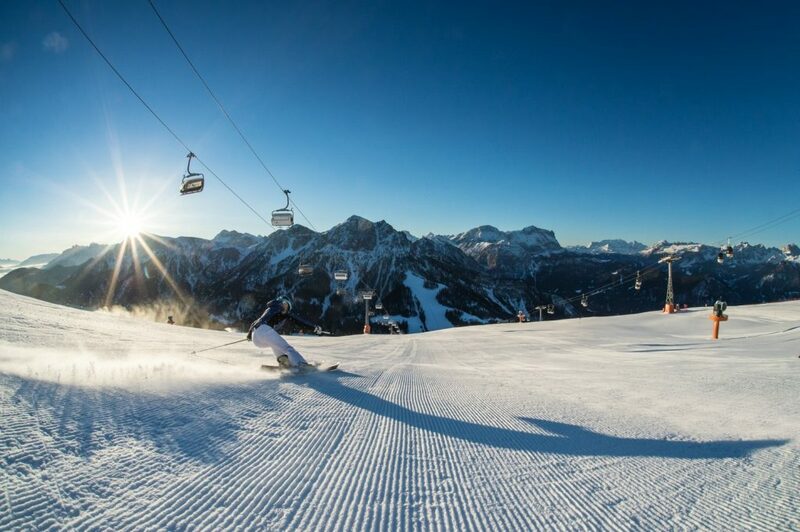 At a whim, simply on your right you find the Kronplatz, the South-Tyrolean ski resort number 1, or on your left you find the Helm/the Dolomites of Sexten. The free Puster Valley Ski Express links every place every half hour and takes the passengers directly to the stations at the bottom of the ski-lifts. The bus stops just outside the door of our farm. Off the beaten tourist track you and your family can be taught downhill skiing 101 by a professional skiing instructor.